Kazakhstan Railways has signed an agreement to deploy GE Transportation’s intelligent train control system ‘Trip Optimiser’ on its fleet of TE33A Evolution-series freight locomotives. GE Transportation has described the arrangement, which follows a memorandum of understanding signed in June 2017 to explore digital technologies, as “the next step in the companies’ 20 year partnership”. The Trip Optimiser system works in real-time to analyse route and cargo data to calculate optimum speed and fuel consumption – helping to improve the productivity of Kazakhstan’s freight transport in the process. 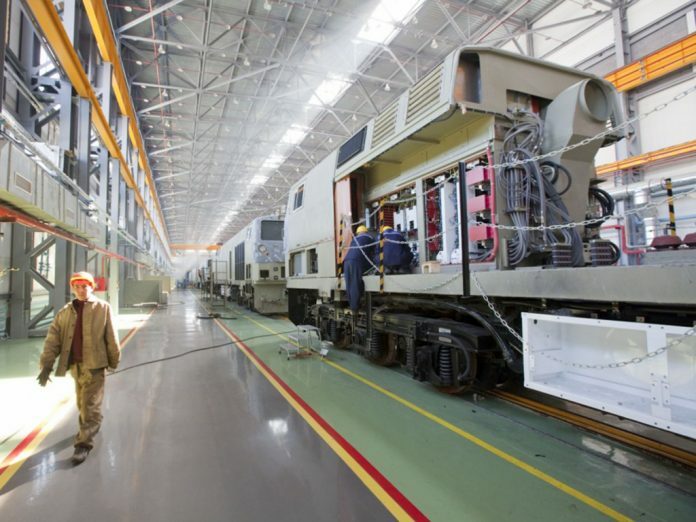 Currently, more than 700 new and modernised locomotives in Kazakhstan are powered by GE engines. Gokhan Bayhan is GE Transportation’s general manager for Russia, Europe, the Middle East and North Africa. He said: “We are happy to expand our cooperation with KTZ-Freight Transportation and pleased to have the opportunity to apply GE Transportation’s digital solutions in Central Asia.